From January to December 2016, Eskom purchased 6TWh of renewable energy from solar PV and wind sources. Investments in renewable energy projects resulted in a net loss of R9 billion to the South African economy in 2016. That's according to power utility Eskom, which, however, acknowledges the positive role played by the renewable energy programme in the reduction of load-shedding and, in turn, the benefit to the South African economy. The Council for Scientific and Industrial Research (CSIR) recently developed a methodology quantifying the net economic benefit of renewables (solar photo voltaic and wind). This is achieved by calculating the benefits of reduced unserved energy (load-shedding), as well as cost savings to Eskom (avoided coal and diesel burn). These benefits are then offset against the total tariff paid to the renewable independent power producers (IPPs), resulting in a net economic benefit or loss. Eskom says for the first six months of 2015, it purchased 2.0 Terawatt hours (TWh) of wind and solar PV. The CSIR calculated a total financial benefit of R8.2 billion. This was offset against the R4.3 billion renewable energy tariff cost, resulting in a net economic benefit of just under R4 billion. However, the power utility says from January to December 2016, it purchased 6TWh of renewable energy from solar PV and wind sources. Using the same methodology, Eskom calculated the total financial benefits, which amounted to R3.2 billion. This was offset against the renewable energy tariff cost of R12.2 billion, resulting in a net loss of R9 billion to the economy. Eskom believes this net loss to the economy will continue for as long as there is surplus capacity. "Eskom currently has surplus capacity until 2021 and can meet any increase in demand," the parastatal says in a statement. Commentators agree that Eskom is correct to say in times of electricity supply shortages, the economic benefits of renewable energy are significant, but are not as significant in times of surplus generation, as is the case now. Chris Yelland, an energy expert, says in times of electricity surplus as a result of weak economic conditions, as well as an improvement in Eskom's generation capacity, the economic benefits of renewable energy by IPPs, at the prices that were contracted in bid windows one to four, are not that significant. Overall, it is costing Eskom rather than helping the utility, he points out. Nonetheless, he believes SA should continue investing in renewable energy because the prices of the power from IPPs have reduced dramatically in the latest bid window (bid window 4 expedited round). "It will be madness to stop the renewable energy programme now, at a point where we have paid our dues, paid our premiums, established our industry, established critical mass, and brought the prices down to a level where it is highly economical at the moment. What Eskom is saying is correct, but it reaches the wrong conclusion," says Yelland. According to Andrew Kenny, independent energy analyst, Eskom is right to say renewables are costing the country a lot. He explains that for the six months ending 30 September 2016, Eskom was forced to pay R2.18 per kWh for renewable electricity (REIPPPP electricity), when its own cost for its own generation was R0.61 per kWh and its own average selling price was R0.85. "Renewables are a huge burden for Eskom, forcing massive costs upon it, which it passes on to its customers with increased tariffs. REIPPPP [Renewable Energy Independent Power Producer Procurement Programme] companies get 20 years' power purchase agreements, where they are guaranteed very high prices for their electricity, whether it is wanted or not," Kenny says. He adds the Eskom CEO calculated that over the next 20 years, Eskom will be forced to pay these companies R1.2 trillion for REIPPPP contracts up to round 4.5. "This is a staggering waste of money. It is a drain on the South African economy. The only beneficiaries will be the renewable energy companies." Kenny is of the view that SA should invest in renewable energy for off-grid applications, but not for grid applications. "Wind for grid electricity has proved an expensive failure wherever it has been tried - including Germany, Denmark, the UK, the US, Australia, etc." Wind turbines require 10 times as much concrete and steel per kWh as nuclear power, he notes. "Wind power is completely unreliable and so requires very expensive backup and spinning reserves; it imposes huge costs on the grid, which everybody else must pay for. Solar power is a better proposition in sunny SA, but is still too unreliable, intermittent and expensive to be worthwhile. Solar PV is becoming cheap and is reliable when the sun is shining, but unfortunately, that is only in daylight hours. The only solar technology that can produce despatchable electricity (electricity when it is wanted) is solar CSP with storage, such as at Bokspoort. But Bokspoort charges R2.80 per kWh." Kenny also notes the CSIR reports that REIPPPP electricity had saved the country money during the time of Eskom load-shedding (by avoiding running the open cycle gas turbines and providing some electricity that otherwise would not have been served) were dubious. They did not take into account the hidden costs of intermittent, unreliable electricity, he argues. However, he says, now that Eskom has enough capacity, for the time being at least, REIPPPP electricity has no value at all; it is a pure liability. 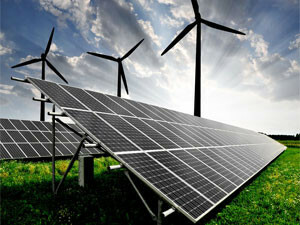 "We are told that in forthcoming rounds of the REIPPPP, the price of wind electricity might be as low as R0.62 per kWh; but because of the hidden costs, this would still make it expensive for Eskom, which would be forced to deal with its unpredictable ups and downs and the fact that it can never be guaranteed to provide electricity when it is most needed - at peak demand times. "The CSIR models showing that wind and solar supplemented with gas can provide us with cheap electricity are complete nonsense. Germany, the UK and Australia did just this, using natural gas to counter the violent fluctuations of wind and solar. The result is very expensive electricity and increasing instability to their grids. "SA ran out of electricity in 2007. This crippled our economy. If our economy is to grow at a decent rate, we need a lot more baseload electricity. Nuclear is the best option - safe, clean, reliable, sustainable and economic. If you look around the world now, you can see new nuclear stations being built cheaply and on time, or close to it. We should maintain our coal stations; they are dirty but cheap and reliable, and have done us well in the past. If we can get the gas in sufficient amounts and at a good price, a big 'if', gas would be a good source of electricity. Wind and solar are essentially useless for baseload electricity."